Andrew Sigler’s music has been commissioned, performed, and awarded by the Wellesley Composers Conference, Composer’s Inc. Suzanne and Lee Ettelson award, Earplay Donald Aird Composers Competition, Robert Avalon International Competition for Composers, World Saxophone Congress, Meir Rimon Commissioning Fund of the International Horn Society, SCI and NACUSA National Festivals, Nief-Norf, Oregon Bach Festival, Seasons Festival, International Brass Symposium, TUTTI Festival, Open Space New Music Festival, University of Texas New Music Ensemble, University of Tennessee Faculty Brass Quintet, Electroacoustic Barn Dance, Hear No Evil, Compositum Musicae Novae, New Music Conflagration, Simple Measures, Bold City Contemporary Ensemble, and Fast>>Forward>>Austin, and his writing has been featured in Opera News and NewMusicBox. 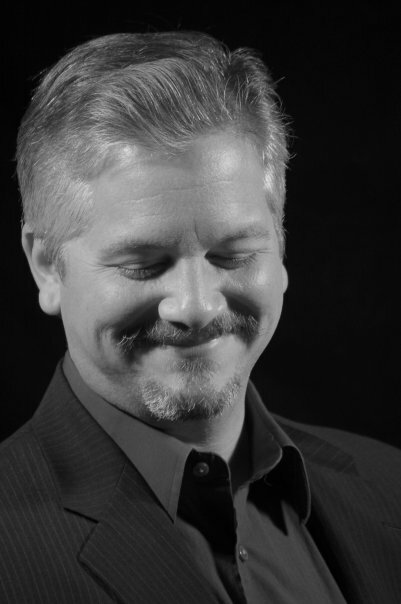 His music is published by Editions Musica-Ferrum and he serves as a board member of NACUSA. Andrew is Assistant Professor of Music Composition at the University of Tennessee. Do you want to know more? Go to andrewsigler.com. Andrew Sigler’s concert music includes works for chamber ensembles, orchestra, dance, and theater. Winner of the 2014 Suzanne and Lee Ettelson award, he has twice been a prizewinner in The Robert Avalon International Competition for Composers as well as a finalist for the American Prize and the Earplay Donald Aird Composers Competition. Sigler has been a composer fellow at the Wellesley Composers Conference and the Seasons Festival, and has received commissions from both organizations. Upcoming commissions include new works to be premiered at the World Saxophone Congress, the International Tuba Euphonium Association Super-Regional, and a commission from the Meir Rimon Commissioning Fund of the International Horn Society to be premiered at the International Horn Symposium. His music has also been featured at both NACUSA and SCI National Festivals, the Oregon Bach Festival, the International Brass Symposium, the TUTTI Festival, the Electroacoustic Barn Dance, Nief-Norf, Open Space Festival of New Music, and Fast>>Forward>>Austin, and has been performed by groups such as Fireworks Ensemble, Simple Measures, Hear No Evil, the University of Texas New Music Ensemble, the University of Tennessee Faculty Brass Quintet, Compositum Musicae Novae, the New Music Conflagration, Bold City Contemporary Ensemble, and Convergence Vocal Ensemble. Andrew has written for Opera News and he was for three years a regional editor for NewMusicBox, the online presence for New Music USA. His music is published by Editions Musica-Ferrum and he is a board member of the National Association of Composers, USA. His background in the commercial field includes studio work as a guitarist and vocalist as well as composition and sound design for video games, advertising, and animation for a number of clients including Microsoft, Google, T-Mobile, and Blue Cross/Blue Shield. Broke Down Outside El Paso won the 2006 East West Quantum Leap composition award for best use of their “Colossus” software. His string arrangements were featured in the award-winning Barbara Smith Conrad documentary When I Rise. Andrew holds degrees in Theory/Composition and Classical Guitar Performance. He has studied composition with Russell Pinkston, Donald Grantham, Dan Welcher, and James Guthrie, and participated in master classes with composers Mario Davidovsky, Robert Beaser, Melinda Wagner, Eric Chasalow, Michael Torke, Stephen Hartke and Daron Hagen, as well as guitarists Manuel Barrueco, Eliot Fisk, Tom Wolfe, and Adam Holzman. He is Assistant Professor of Music Composition the University of Tennessee. Please visit andrewsigler.com for more details.